Sometimes it feels like the romance of the road is lost at truck stops. Those oases of diesel fuel and stale coffee seem too industrial, too pragmatic to fit into a Kerouac-style vision of road tripping. 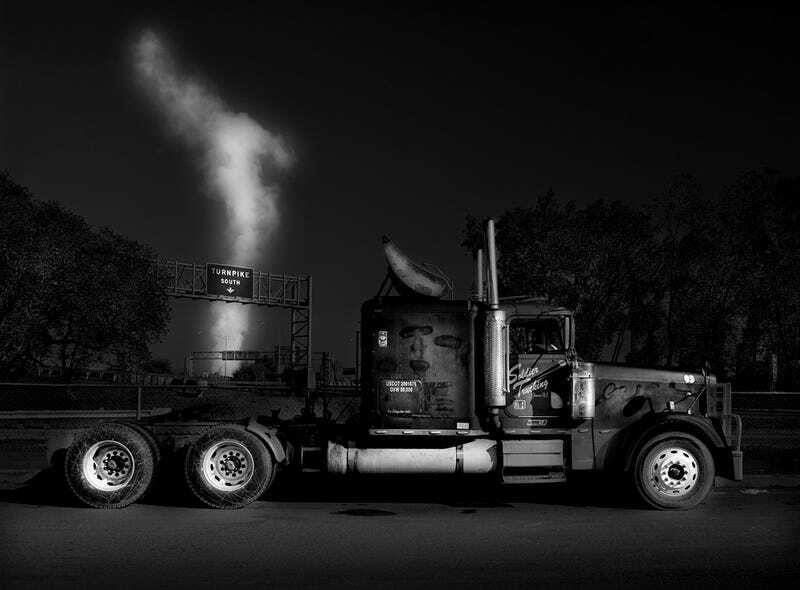 Photographer Michael Massaia lends some highbrow class to the truck stop with his series Seeing the Black Dog. Suddenly, those hulking 18-wheelers look gorgeous.